We got a query requested develop ceramic milling and mixing component for the processing of food and beverage industry, cause of the stainless steel occur metal impurities during the milling and mixing processing. Zirconia Ceramic Screw Sleeve bonded with SSL304Shaft (Zirconia Ceramic Beg). 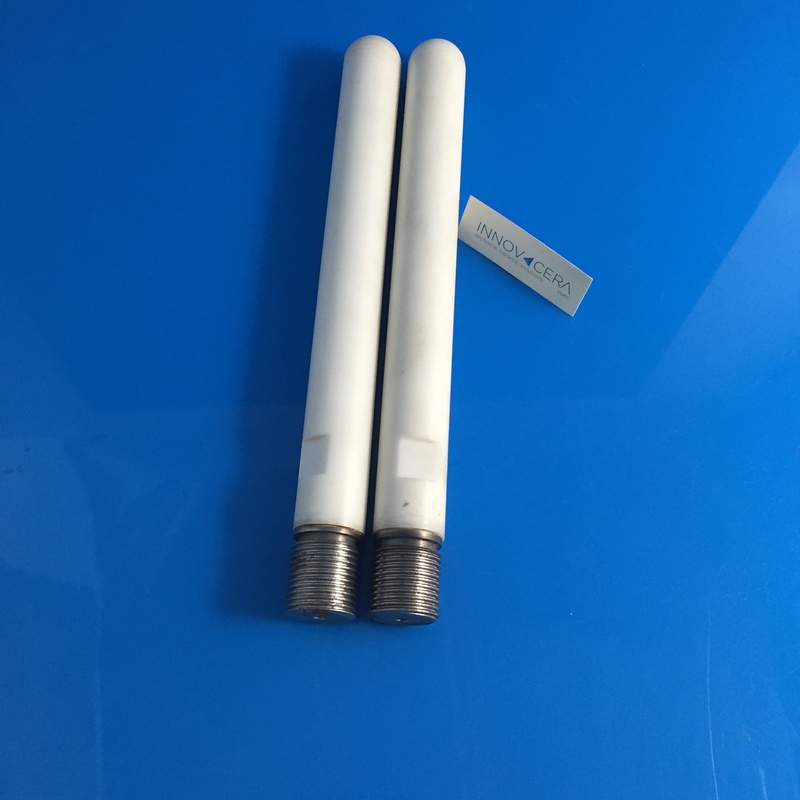 The zirconia ceramic peg is a part of grinding mill machine, which using cerium stabilized zirconia oxide grinding beads(size:1.6-1.8mm) for grinding mill and mixing processing, so it is request the the grinding pegs had long life-time and food safety for the processing of food and beverage industry. Our ceramic milling and mixing beg had been using since a year, they are stilling running and had a good effort. The next products middle and small zirconia ceramic peg will coming soon. Our engineer team will develop various kinds of ceramic peg, if there is any project enquire please feel free to get in touch Email:sales@innovacera.com.